#1 - Open Monster Teleport's Tab> Then Click CAVE!!! #6 - BE A MASTER FARMER LIKE ME!!! I will use it later, awesome! they made drops of seeds more often farming is pointless! Thank you for Guide im farming right now. 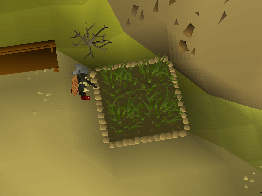 Does it take long to get to 99 farming? btw whats the exp rate for farming? Subject: Re: Guide to Master Farmer!